During the 27 years that DS.Emotion has been in business, our work has taken us far and wide. We are proud to say that we have helped to shape some of Britain’s most iconic and successful places. Working with the wonderful people at Industrious Folk, we’ve built a unique brand proposition and creative platform to disrupt the industrial property marketplace. IF’s unique way of working with their occupiers’ best interests in mind has, so far, led to great success. Their mission is to create environments that positively enhance their tenants’ businesses. Being a part of the Industrious Folk community gives you something extra. This is built on a firm brand proposition developed by DS.E – Industrious Folk; challenge the norm, innovate, transform and adapt. This is a principle that works for IF and their occupiers alike. In theory, entering into an agreement with an occupier who shares a similar ethos and ambition. DS.E were delighted earlier in the year to be invited, once again, to work with The View from The Shard. At 72 stories high The Shard is the tallest building in western Europe and provides unique 360 degree views of London. We helped drive awareness of this outstanding global attraction. 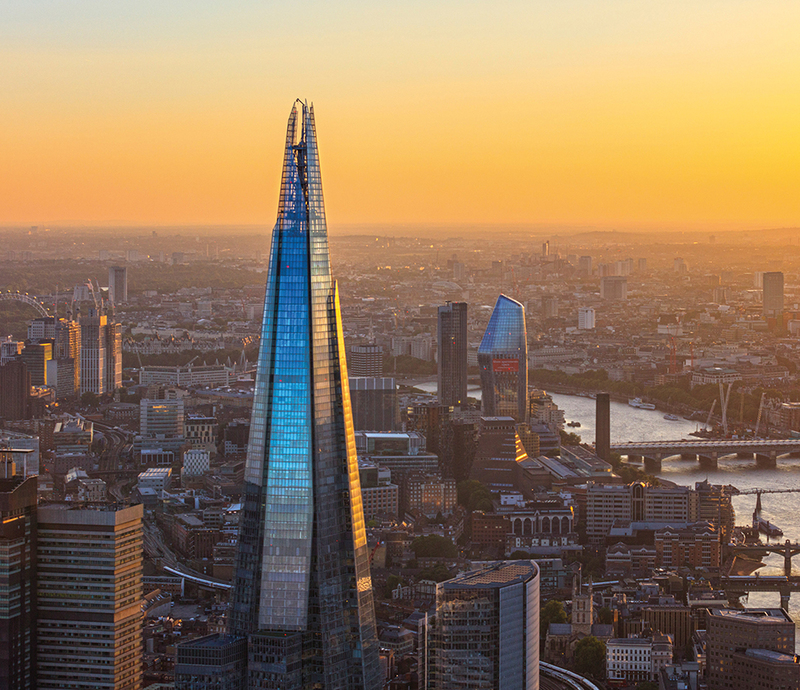 The visitor attraction at the top of The Shard attracts visitors from all over the world, while continuing to provide a landmark destination for Londoners to be proud of. DS.E are currently planning the next phase of activity for 2019, and are excited about future marketing plans. It’s been almost 14 years since Shaftesbury PLC approached DS.E regarding Carnaby Street, but we still use this successful rebranding project as a case study for success. It’s not often that an agency can provide 14 years of evidence of a truly successful rebrand. In the early 2000s Carnaby Street suffered from a lack of direction, a disparate mix of retailers and had lost its once world-famous mojo. Our mission was to revive what was once the go-to place in Soho with a rebranding and repositioning project. Subsequently, Carnaby Street and the surrounding area became hotspots for retail and leisure operators. We’re proud to have been a part of this long-term, sustainable transformation. Brighton has long been synonymous with Mods & Rockers. Its popular cultural history is as rich and as prominent as they come. We embraced Dukes Lane’s eclectic reputation and developed a buzzing creative community where music, culture and fashion enjoy equal influence, respect and appreciation. We used our placemaking expertise to bring the Lane to life. 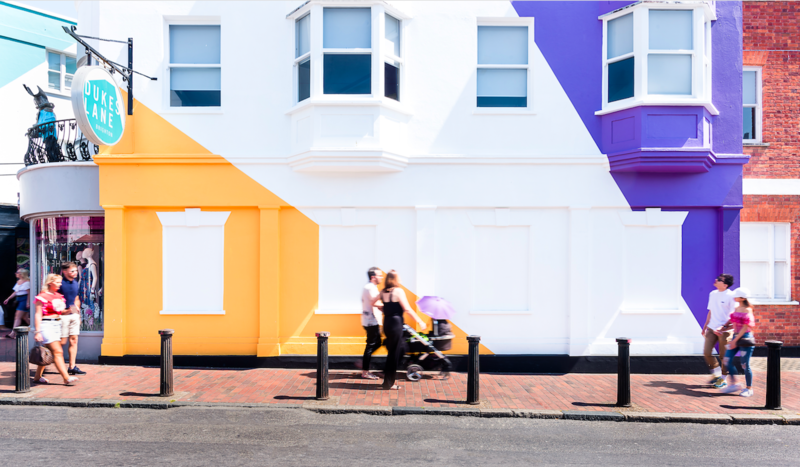 For example, we established a sense of identity and arrival with vibrant new paintwork and arranged art installations and pop-up events. Formerly Liverpool’s striking general post office, Metquarter was originally opened by the Duke of York in 1899. It was severely damaged by bombing during the May blitz in 1941, resulting in the upper floors being demolished. Over £100m was spent on transforming the site into a 160,000 sq ft (15,000 sq m) retail and leisure scheme which opened in 2006. Our clients Queensberry are now delivering Metquarter’s latest and most impressive transformation. This will see a new mix of retail and leisure occupiers coming together to create an unrivalled destination for Liverpool. This includes an innovative lifestyle cinema, premium restaurants and bars as well as amazing new brands for Liverpool. Trinity Leeds’ objective to become the ‘very heart of Leeds’ retail and leisure offer’ certainly seems to be fulfilled. This truly connected destination, now in its fifth year, delivers exceptional footfall year-on-year. DS.Emotion’s branding and marketing work, initially to B2B/occupier audiences, saw the destination launch almost 100% occupied and this continues to be the case. Our work also extended to consumer marketing, ensuring the day-to-day essential communications were delivered in order to drive awareness of Trinity’s fantastic retail and leisure offer. Can we help transform your place? Get in touch or follow us on Instagram to see more of our work and to discuss your next project.